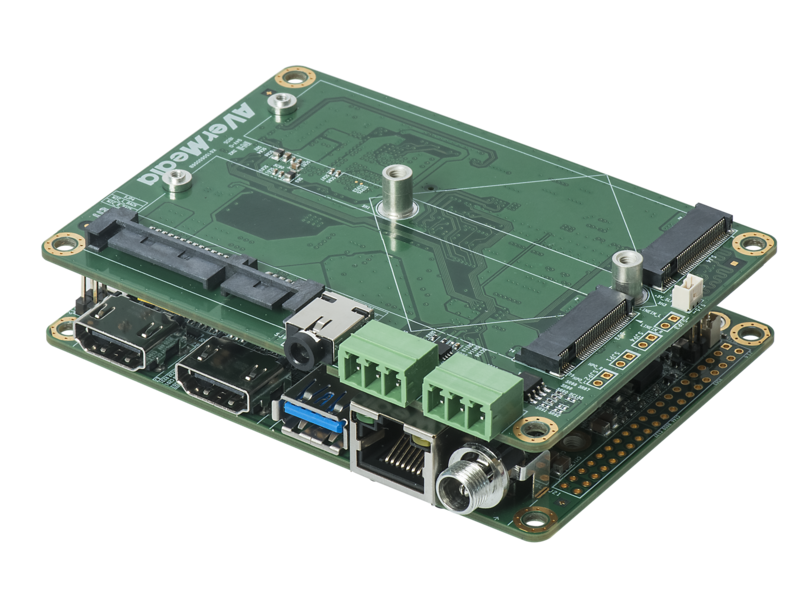 AVerMedia’s EX731-AA/N1 Carrier for NVIDIA® Jetson™ TX1/TX2 is designed for use in Dual 4Kp30 Video Analysis. This product provides a stackable compact design by following Pico-ITX dimension (100mm x 72mm, 3.9” x 2.8”), and provides 2x M.2 Key B+M slots to support AVerMedia’s M.2 capture card, CN311HN, for capturing 2x 4Kp30 video inputs. These two M.2 slots also support SSD for video recording applications. The AVerMedia’s EX731-AA/N1 design includes 1x HDMI-out (TX2 support 2x HDMI-out), 1x USB 3.1 Gen1, 1x Gigabit Ethernet RJ-45, 1x USB OTG, 1x micro SD card slot, 2x M.2 Key B+M slots, and 40 pins of I/O extension with 1x 3.3V UART, 1x SPI, 1x I2S, 1x I2C, and 7x GPIOs. This carrier is able to equip a customized chassis with fan cooling system. It is one of the best compact Application Ready Platform by supporting NVIDIA® Jetson™ TX1/TX2 for you to capture dual 4Kp30 video inputs and run your edge computing algorithms for high-end video analysis application markets. With more than 25-years of being passionate in the video and audio technology and innovation, now AVerMedia extends the footprints and offerings to the new era of GPGPU, designed with NVIDIA Jetson TX1/TX2, to bring deep learning features into the embedded applications. Taking the advantages of up to 1 TFLOP of supercomputing performance, less than 15 watts of low power consumption, CUDA programming of parallel computing, cuDNN GPU-accelerated library for deep neural networks, and AVerMedia video and audio technology of capturing, post processing, and streaming. Embedded Tegra Solutions developed by AVerMedia are the best design for video-enabled edge computing applications of in-vehicle, robotics, UAV/UGV, surveillance, inspection and measurement, IVA, and medical imaging. 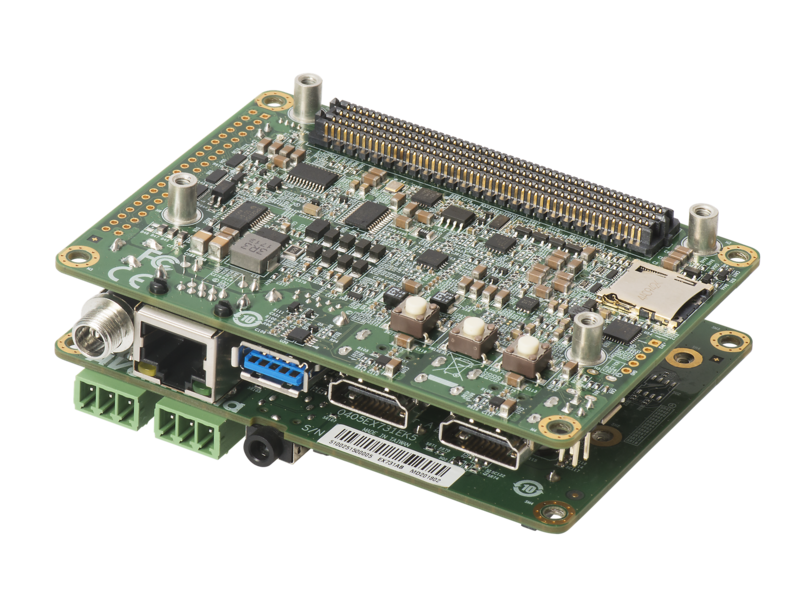 AVerMedia offers 5 categories of Embedded Tegra Solutions for deep learning application on the edge devices, with the support of HDMI video source and the direct technical support by developers. Software design service of Linux BSP, driver, OpenCV, VisionWorks, and cuDNN. With multiple offerings and direct technical support, we, AVerMedia, are able to help our clients succeed to resolve system compatibility issue, optimize system cost and performance, ensure project schedule, reduce R&D resource investment, and create product differentiation in their video and audio applications which utilize the embedded system with AVerMedia video capture cards, such as C353, CM313B, C351, and C039P. 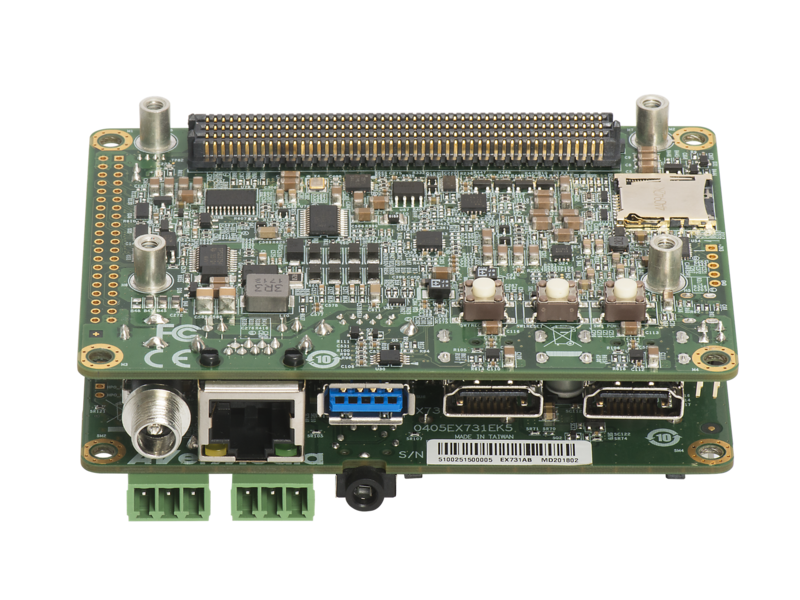 AVerMedia TK1/TX2 carrier board (EX731-AA) is designed to install in the standard Pico-ITX chassis with power supply and AVerMedia video capture cards to build a complete embedded application-ready system. Once the design and verification of our clients’ application software are done, the software can be installed on this application-ready-system and shipped for the field test and deployment on the end customer site. It can significantly help our clients reduce the development cycle time of turning their innovative design into a marketable product. Also, we, AVerMedia, are an accountable service provider of in-house product design, verification, and manufacturing, to support our clients to compensate their capacity and/or skill gaps, realize their innovative applications, and achieve the ultimate goals of time to market and time to volume. Integrated skill sets of product design with driver, SDK, AP, FPGA, F/W, schematics, PCB, power, ID/ME, tooling, molding, packaging, EMC/EMI, thermal, reliability, safety, and usability, plus project management, product verification, manufacturing, and global logistics. We are a group of passionate and integrated professionals dedicated in video and audio technology and innovation. We provide state-of-the-art standard products and customization design service to help our clients succeed in their embedded applications. We operate highly efficiently and effectively in fulfilling our clients’ needs on technical supports and joint developments.